Signposting is an approach to make the scholarly web more friendly to machines. It uses Typed Links as a means to clarify patterns that occur repeatedly in scholarly portals. For resources of any media type, these typed links are provided in HTTP Link headers. For HTML resources, they are additionally provided in HTML link elements. Throughout this site, examples use the former approach. When visiting scholarly portals, readers can easily figure out landing pages, links to bibliographic records, authorship, etc. But, because portals use different conventions to convey such patterns, machines have a hard time finding their way around. As a portal administrator or operator of scholarly infrastructure, you can change that by implementing some of the Signposting patterns listed on this site. Doing so will allow machines to navigate scholarly portals in a uniform manner. Which will lead to applications that make things easier for readers too. Image courtesy of Patrick Hochstenbach. Which pattern do you want machines to understand? There is very little interoperability among scholarly portals on the web. Most portals focus on access via the user interface. Some provide APIs for machine access, in which case each portal exposes their own. But how about some uniform approaches to allow machines to interact with scholarly portals? Signposting is not a formal standardization effort. It's just an accumulation of ideas from people that have spent a lot of time thinking about the web and scholarly communication on the web, working on specifications to improve on the interoperability status quo, and witnessing some specifications being adopted and others not. Those scarce resources, you know. 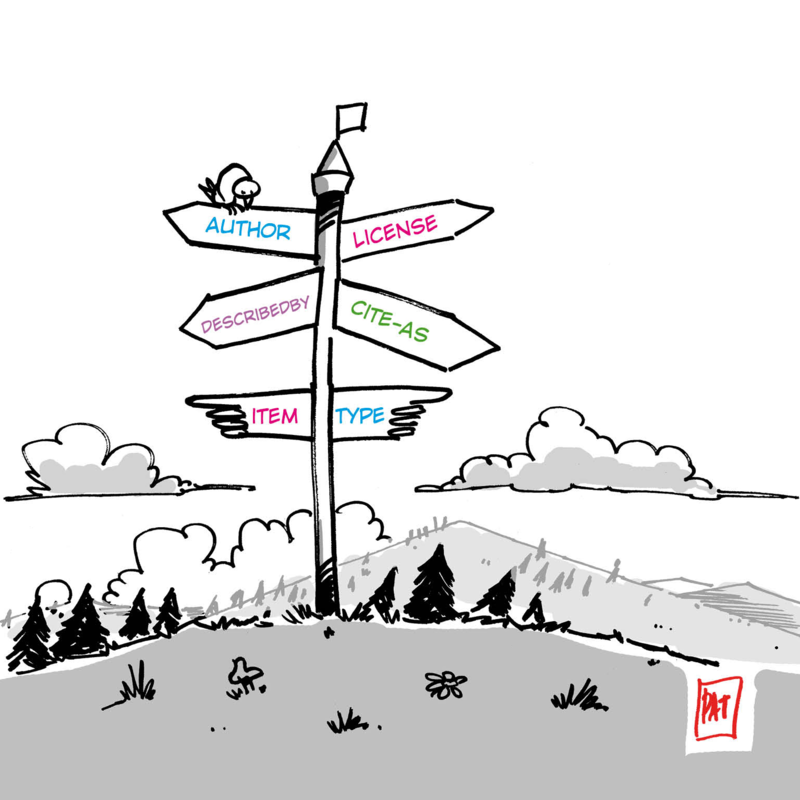 The Signposting approach is fully aligned with hypermedia (REST, HATEOAS) lines of thinking regarding web interoperability. Implementation of a pattern should be straightforward and would help machines significantly. Which would allow the emergence of new applications that make the life of a reader easier. Meaning great Return On Investment. Please share feedback on the Signposting Google Group. Do you have feedback regarding patterns listed on this site? Are you thinking of another pattern that should be addressed? Do you have concrete suggestions for addressing another pattern? Do you have ideas on how to promote Signposting in the scholarly community? Do you want to join the cause to make the scholarly web more friendly to machines? Please let yourself be heard on the Signposting Google Group.